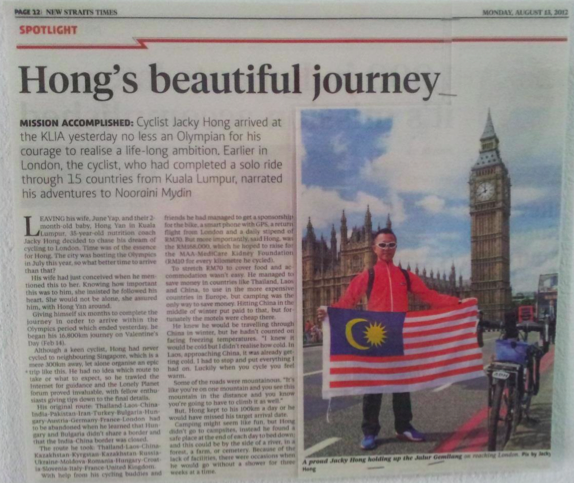 Known as the cyclist who rode from Kuala Lumpur to London to make it in time for the 2012 Olympics, there is a lot more to 38 year old Jacky Hong than just the 18,000km he clocked in for that journey. He was born into a family that hawkers chicken rice for a living and grew up helping out at the stall by cleaning tables and serving chicken rice. As a result, humility became his best trait and determination, an integral part of his life. Jacky’s path was like many of us, a confused and ambiguous one and he can safely say that he’s done the dirty work – working as a waiter in nightclubs, peddling DVDs in Petaling Street, doing a stint in Singapore as a spray painter. All in the name of earning a living. 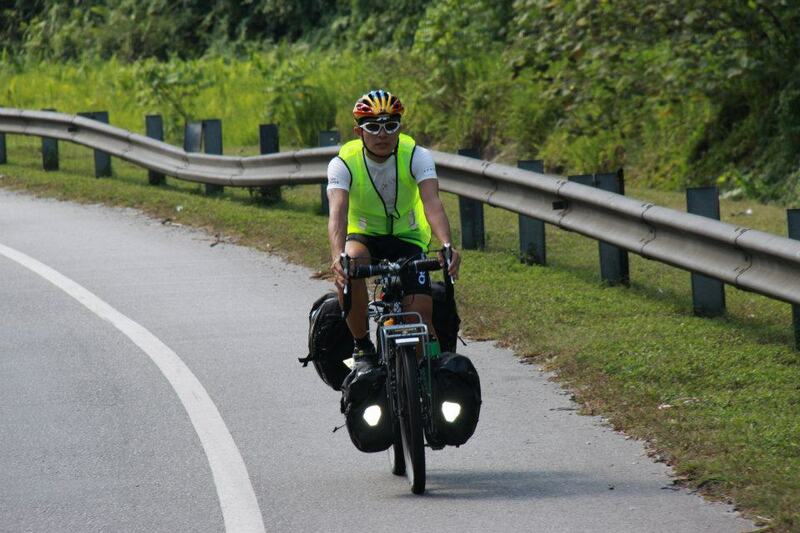 It was much later when he decided to part with the luxuries, clear his debts and live a simple life and it was then, he found joy in the different things like learning to pitch a tent to spend the night, in cycling and in enjoying the weather in different countries. 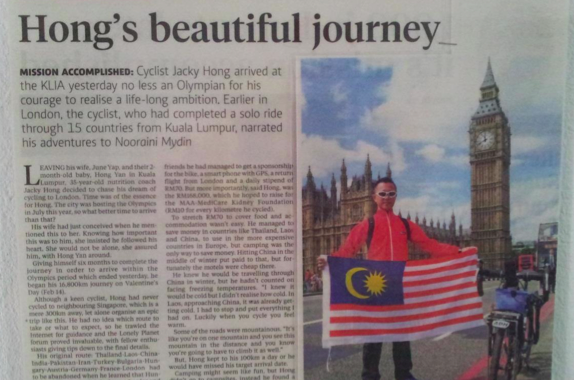 The 169cm cyclist has under his belt a list of cycling milestones and has frequently been sponsored to ride. 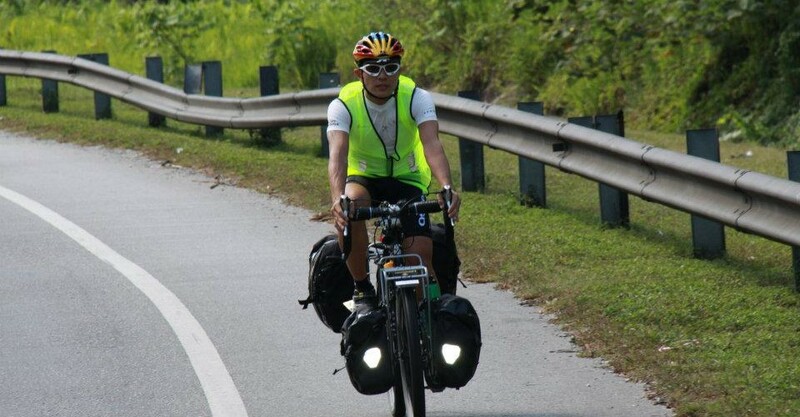 Currently a Nutritional Coach for Herbalife, Jacky Hong is still avidly cycling and in his spare time not spent on wheels, he would be with his wife and daughter, June and Hong Yan.